In India, fathers are next only to mothers with respect to the honor and love they are given. It is customary for sons and daughters to touch their father’s and mother’s feet and all elders, to seek blessings for any occasion, at weddings and even on returning home after a long trip away, as a form of greeting. 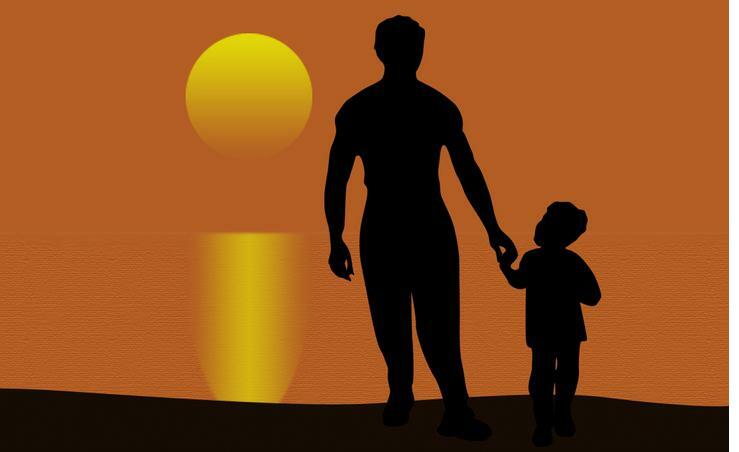 Today, Father’s Day is celebrated on the third Sunday of June. The 16th of June is Father’s Day this year. Father’s Day is not an Indian tradition but in the Vedas, father has always been given a very high status, supported by many Indian epics. In the Ramayana, Ram goes for exile for 14 years giving up his inheritance to the throne, to honour his father Dasaratha’s word to his wife Kaikeyi. Whatever was the history, the basic need is for all of us to acknowledge and recognize that we owe what we are and what we want to become, so much to our fathers! And this special day gives us just the opportunity to do so! This special day was actually incepted in the United States in the early 20th century to complement Mother’s Day in celebrating fatherhood and male parenting. After the successful promotion of Mother’s Day in the US, some wanted to create similar holidays for other family members, and Father’s Day was the first choice. Father’s Day was founded in Spokane, Washington at the YMCA in 1910 by Sonora Smart Dodd. Its first celebration was on June 19, 1910. Her father, the Civil War veteran William Jackson Smart, was a single parent who raised his six children there. After hearing a sermon about Jarvis’ Mother’s Day in 1909, she told her pastor that fathers should have a similar holiday honoring them. Although she initially suggested June 5, her father’s birthday, the pastors did not have enough time to prepare their sermons, and the celebration was deferred to the third Sunday of June. A bill to accord national recognition of the holiday was introduced in Congress in 1913. In 1916, President Woodrow Wilson went to Spokane to speak in a Father’s Day celebration and wanted to make it official, but Congress resisted, fearing that it would become commercialized. US President Calvin Coolidge recommended in 1924 that the day be observed by the nation, but stopped short of issuing a national proclamation. The custom spread throughout the United States and in 1936 a national Father’s Day committee was formed. Headquartered in New York City, the committee annually selects a Father of the Year. Some of the fathers who have won this title are Douglas MacArthur, Dwight D. Eisenhower, and Harry S. Truman. In 1957, Maine Senator Margaret Chase Smith wrote a proposal accusing Congress of ignoring fathers for 40 years while honoring mothers, thus “[singling] out just one of our two parents. In 1966, President Lyndon B. Johnson issued the first presidential proclamation honoring fathers, designating the third Sunday in June as Father’s Day. Six years later, the day was made a national holiday when President Richard Nixon signed it into law in 1972. And the world has followed suit, honoring all fathers and father-figures everywhere. Categories: Natural Mantra | Tags: bonding, Bringing up kid, Care, Child, Father, Father's Day, Infant, Kid, Love, Parental bonding, parents, Taking care of kid, Unconditional Love | Permalink.